Another day, another new company to get something to drink from. 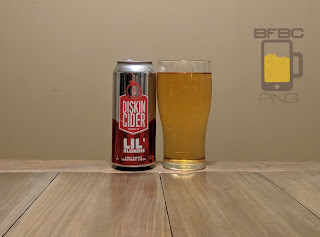 Today, I return to the land of ciders where I spent a lot of time in the past, but I ultimately always come back to the mountains of beer to enjoy the fruits of the hop tree (is it a tree? I should probably look that up). What new cider will they think of next? The golden beverage has no head, and I didn't expect any. The sparkling nature of this liquid is almost entirely lost on the appearance - I think I can see several really tiny points of nucleation that are just barely giving rise to the occasional bubble. The aroma is sweet apple wine. First sip is light and sweet apple juice. 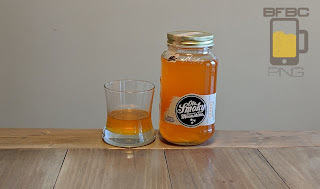 It's sweeter than I would expect from something calling it a "semi-sweet" southern cider, and the carbonation is right around the outside of the mouth with a very mild, but noticeable, bubbles. It's the first time I have had a beer from this little Kentucky brewer. 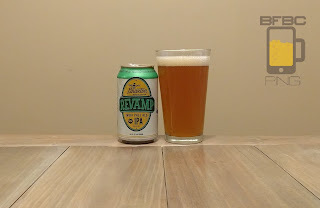 I drink a lot of different brands of beer, so this really isn't all that noteworthy, but it's noteworthy for me in that I like to find out what each new brewmaster thinks about what makes a good beer. Indeed, will this even be good beer? The wonderfully cloudy copper beer has a somewhat off-white head that sticks around like an IPA head should. It's sticking to the sides with a fierce gusto that lets me know that lacing is certainly on the menu tonight. The aroma is a lot more muted than I would have expected, but the pine and citrus dance together serenely. Quite inviting. A present from one of my favorite brothers, this is direct from the outskirts of Cincinnati (technically from Middleburg Heights, OH) and hand delivered to me. So, it seemed only right that I give it the old college try. I mean, they MUST have colleges in Ohio, right? I hear that have football teams in the NCAA, so that must mean there are colleges associated with them. The beer is honey colored with an orange twist and a minimal, yet full-hearted head with a good mix of tiny and big bubbles that eventually leave a simple, splotchy cap that still lets the dusty sourdough bread and resin aroma with lots of citrus spread all around the area, and I'm loving it. 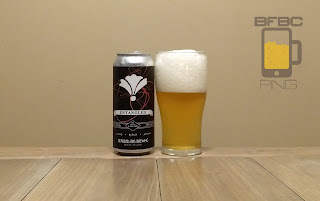 As a kind of break from the Bearded Iris IPAs (of which there are SO MANY) is this saison. 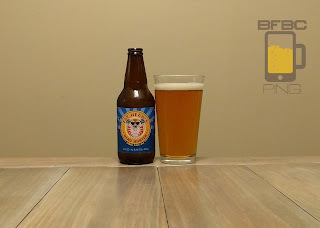 These are, I understand, supposed to be a kind of laid-back pale ale that can be confused with a summer ale or similar. However, this one has been dry hopped, so it will probably have a stronger taste and bitterness than your average summer ale. Of course, the easiest way to know is to start drinking it. The pale yellow beer has a suspiciously large head of big, lazy bubbles. The aroma is fruits and yeast above it all. The yeast is wet and like dough that has been baked a little, but it's still in the process of becoming bread, yet the yeast has already started to rise. It's fresh and fairly powerful. First sip is sharp. It's lemon and a wheat bread dough with that full yeast and the carbonation is a bit too much. It tastes more like a stolid pilsner than a relaxed summer or farmhouse ale. For some reason, I always think that Tailgate is brewed somewhere else, but it's brewed right here in Nashville. I went from moving here and being told that Blackstone was my only option to finding little breweries left and right (and then seeing some of them go away entirely, much to my chagrin). The beer is so murky that I would have suspected this to be a Bearded Iris brew, but it sure enough is Tailgate. There isn't a whole lot of off-white head on this amber-brown liquid, and I noticed that the bottom has chunks of... I assume hops or yeast or something. Never heard of a can-conditioned beer, but I guess there is a first for everything. First sip is a delight. It's all sweet and cuddly with a creamy malt that is highlighted by lots of interesting tropical fruits. The fruits are meaty more than just juicy, and there is passion fruit, grapefruit, and possibly too many others to name, but they taste very nice. The American Czechs are at it again. Will they managed to tame the giant of a rye porter (known to be a bit intimidating) by adding a little vanilla and a whole lot of attitude? Well, your guess is probably as good as mine. Actually, it might be better. This beer brings a lot of head. I had to carefully pour three different times (letting the beer settle in between) to get this glass full. The copious head is frothy and thick with the aroma of burned coffee grounds and earth. It sounds like it would be bad, but it's a good mix of bitter and sweet, so I'm okay with the smell of this black beer. First sip is bitter as all-get-out. The malt is not burned - it's charred with vanilla poking it's cheery little head out of the coffee and earth blackness to see what has happened to all of its friends after that giant bitter meteor hit. It sees nothing, so it heads back down the hidey hole never to be seen again. A sip is not the right way to look at a big beer, though. 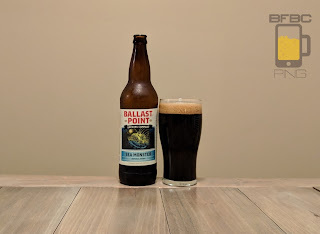 Here's the thing about Ballast Point: they do what they are supposed to do. They pick up challenging styles of beer, look to see what makes the style unique, and they produce beers that match the expectation of the style. 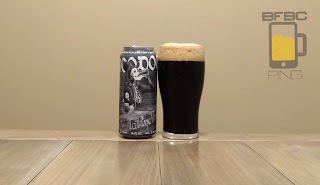 In this case, I have found Imperial Stouts to be a bit intimidating and stolid compared to the affable nature of an Irish Stout or Milk Stout. So what will they bring here? As black as Batman's cowl and topped with a light tan head, this stout has the makings of something very good. The aroma is chocolate and oatmeal with earth backing it up nicely. So, my fear about this possibly not being approachable seems to be unfounded, but that's only according to the smell. First sip is more bitter than I expected, but there is the earth and chocolate simmering under it with even some sweetness chilling underneath it all. I think the main thrust of the beer is like tree sap that has been scorched. It's a good start. Southern Tier is my favorite tier-themed brewery. I honestly can't think of another one, but it's a good one - let's leave it at that. I already complained about this not actually being from the south, but I think geography shouldn't be that big of a factor with beers (aside from my love of local beers). Another black beer with a tan head. To be fair, this particularly thick beer had pretty much no head at all for most of the pour, so I coaxed a bit out by pouring slowly and from an increased height just to get some, and it is gone entirely within 5 minutes. 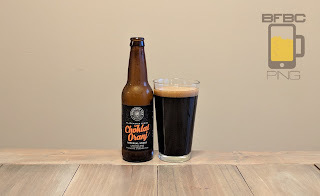 The aroma is thick and rich with chocolate and smoky wood - very little orange, but it might just be being overpowered by the thick, sweet chocolate. The chase to find a good moonshine is not at a run these days - it's not even at a trot, really. 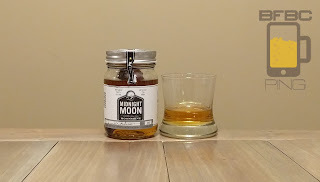 I delved into it out of curiosity more than anything after commercial moonshines started appearing on the shelves, and I'm not just trying to find the ones that are any good at all. It's a pale orange - really watered down orange drink. Like, REALLY watered down drink. It looked a lot more orange while it was still in the jar, but this is why we pour it, I guess. The aroma is also orange drink, but with teeth in it, even though the are excessively dulled. First sip is sweet, orange and a little burning. 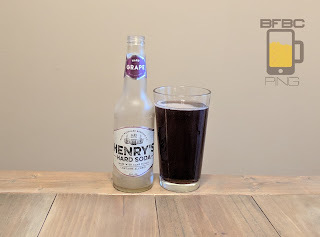 The alcohol isn't the add-on alcohol that you get in the Seagram's sodas, which makes sense, as this alcohol isn't added - it's the point of the beverage. 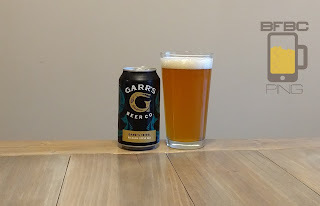 Garr's Red ale wasn't a big hit with me, but that doesn't rule them out. I mean, it was close, and they clearly want to try, don't they? Well, if they want to try, I want to help them out by trying their beer (although, to be honest, I have put this one off for a while). 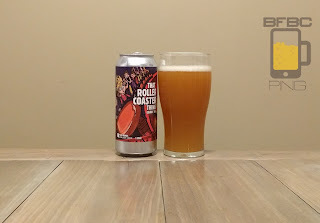 There may just be something about their dour can design that makes me not want to try it, but beer can overcome bad labels. She's a cool amber color with a white head that has no stickiness about it, and it runs almost completely away right from the get-go. The patchy layer on top is joined by a ring of bubbles around the sides, as a good, well-behaved beer is wont to do. The aroma is malt-centric, but it's kind of a twigs-and-earth malt. It has citrus trying to offset it, but they aren't overpowering the malt. When it comes to hard sodas, I have tried a few. I started with the hard root beer, but most of them fell very short of the mark. Henry's Hard Orange was pretty close to what I thought it should be, but it needed a little something more. What this needs is nothing - grape soda is grape soda. Should it have vanilla? Nope, it should be grape. It's like a... grape soda. It's purple, but light gets through pretty easily, and it has no head to speak of. I think I managed to catch some of the bubbles in the picture here, but there aren't many, and they went away very quickly. The aroma is undeniably grape with effervescence and the telltale alcohol waft.